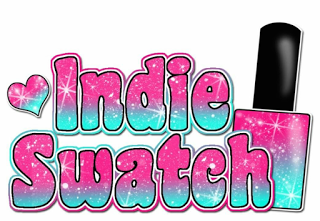 IndieSwatch has been sharing your manis and the love of indie brands for over 4 years now and it is that time again to make sure that our beloved Indies are recognized! So, without further delay - the nominations are open! Please fill in as many as you would like! They are open until 12 pm Eastern January 6th. Once they are closed, I will select the top 4 in each category to move on to the next and final round (2nd survey)! Please share, please fill out, please support your favorite indie brands! Questionnaire open until January 6th 12pm Eastern Time. Only indie brand related answers will be accepted. Only forms with emails will be accepted. 1 email = 1 submission. If double emails are submitted, only first one will be valid. Two winners will be selected & contacted via email address provided to receive $25 gift certificates to a stockist of my choice. You will have 48 hrs to reply to email before new winner is selected, so make sure the email you provide is one that is checked often. NOTE: Items did not need to be created in 2017. 2nd survey will take most popular answers and create a multiple choice survey.